A U.S. 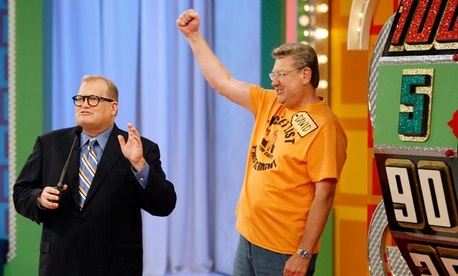 Postal Service employee has pleaded guilty to committing workers’ compensation fraud after an appearance on The Price is Right demonstrated inconsistencies with her alleged work-related injuries, according to court documents. Cathy Wrench Cashwell indicated in her paperwork in 2011 that she was not capable of “standing, sitting, walking, kneeling, squatting, climbing, bending, reaching, grasping and driving,” documents show. Cashwell claimed the injuries, which occurred on the job in 2004, prevented her from lifting mail trays into her truck, as first reported by local North Carolina television station WRAL. The investigators also found Cashwell and her husband went zip lining while on a Carnival Cruise in August 2010, and she later posted pictures of the activity on her Facebook page. One year later, she knowingly lied on her worker’s compensation forms, Assistant U.S. Attorney Kimberly Moore wrote in the indictment. Cashwell began receiving worker’s compensation in May, 2005. The postal carrier pleaded guilty to fraud in Monday in an agreement with federal prosecutors.